Avenged Sevenfold News: M.Shadows about Hail To The King: Deathbat: "Still waiting on approval. 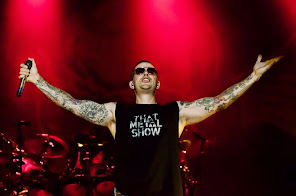 Its an interesting..."
M.Shadows about Hail To The King: Deathbat: "Still waiting on approval. Its an interesting..."
Sorry guys and gals - Still waiting on approval. Its an interesting system they have over there. It's not a huge deal because it has given us time to add a few other features. Basically they have added a few new requirements that we did not know about until this week. We have added those items and now are pending approval. Hope this helps. Trust me, we are as excited as some of you are to release this thing. Also trying to add "Twitch" to the first round of upgrades which would be cool so people can watch each other play.